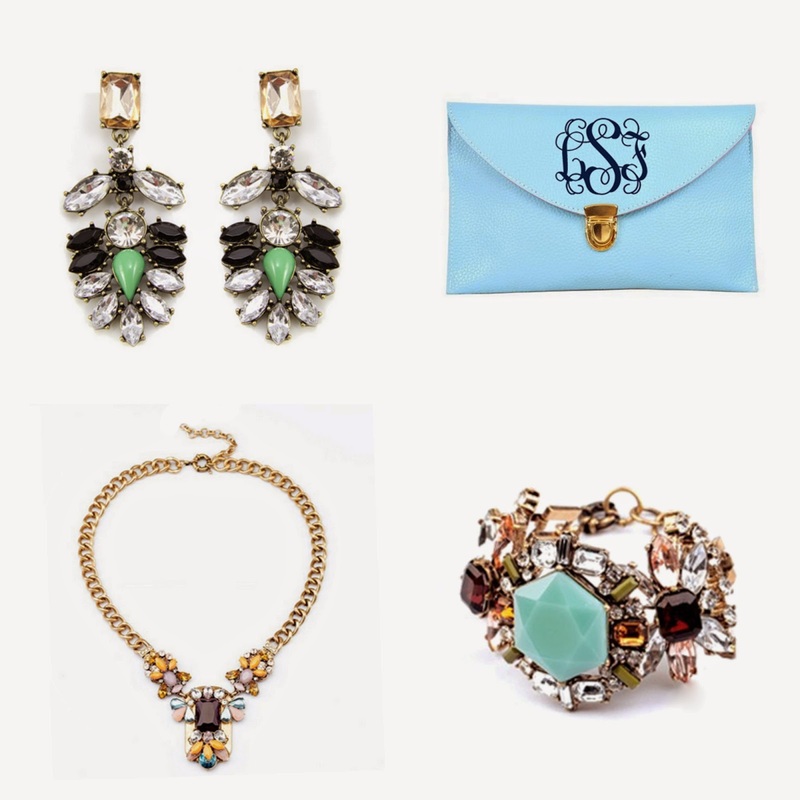 I do deClaire: Benevolent Jewels Giveaway! You know how much I love my jewelry, statement necklace in particular! Benevolent Jewels sent me this absolutely gorgeous necklace and I couldn't be happier to add it to my collection. It goes so well with lots of items in my closet and is completely unlike anything I have. I'm very impressed with the quality, too. I ended up wearing it for Easter church service for the first time and thought the spring colors in the necklace were very appropriate! I've worn it several times since then and love it more and more. Today Benevolent Jewels is giving away one of their beautiful Crystal Palette Necklaces. Good luck! *I was provided with a necklace to review, but all opinions are my own. Your necklace is STUNNING and matches your outfit perfectly. Loving the soft pastels you are wearing. So cute & Springy. The necklace you are giving away is awesome too. I would style it with a Bright Colored Dress or with a Midi Skirt and White Tee. So the necklace would be the main attraction. I love your chevron dress! Especially paired with the mint cardi, it's a brilliant combo. I can never have enough statement necklaces either it would seem! This chevron dress is everything! It's so perfect for brunch, the office, whatever! Gorgeous! Love a good statement necklace :) Looks like they have some Ah-mazing jewelry and I love a company with a good cause! I would wear it with a black or white dress and let it shine! Thanks for the giveaway! I'm jewellery person as well, since I'm making my own. Your new addition looks lovely paired with this gorgeous look. So pretty for Spring. Oh, and I think my first outfit with this necklace would be with a chambray top and a bright colored pencil skirt, like maybe my green skirt. And then I'd wear it with every color! your chevon dress is so cute. I want to add some chevon in to my closet this year. I love your whole outfit!! The necklace is gorgeous! You look fabulous! Love your necklace and the one from the giveaway! I would wear it with a simple tee on the weekend or a button down to work. Thanks! Such a pretty outfit and I love the necklace! Love the mint cardigan with that pastel statement piece- so pretty! I am not entering for the giveaway but I just love those creamy colors you blend together. I am digging my closer now. You look gorgeous! And I love the chevron print dress too. Thank you! Loved looking at your outfits! That striped dress and mint colored top are so cute! For some reason it wouldn't let me comment though. What a pretty spring outfit! That dress is so unique and fun. I will wear it with my little black dress for evening. look at you and all these giveaway opportunities! Thanks so much! It would be perfect with a LBD!! I'd go simple with jeans and a white t-shirt. I love how versatile this necklace is. It could go with anything! I would wear it with black skinnies and a black top! 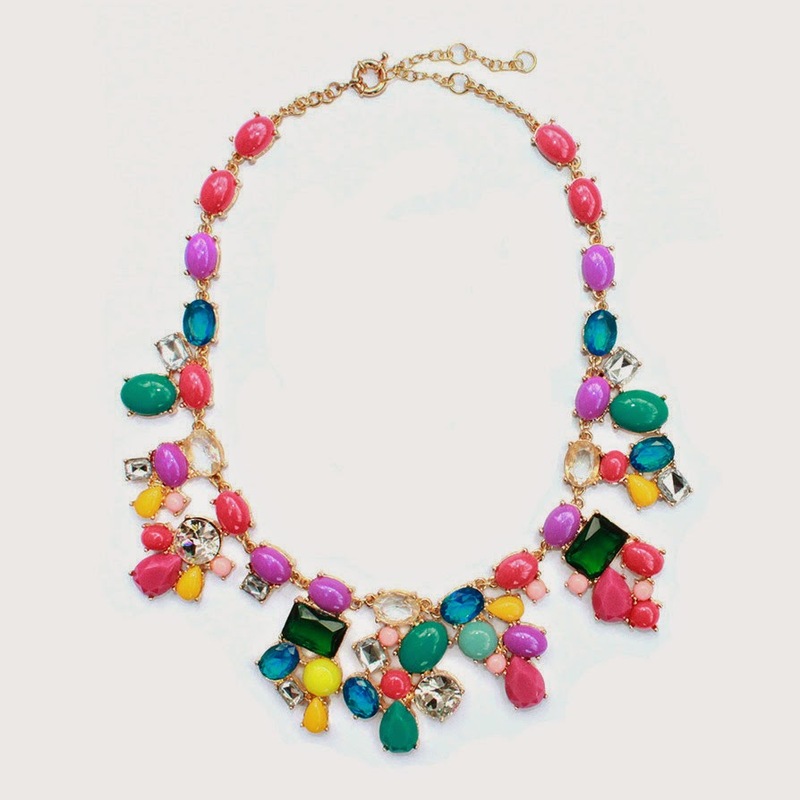 I think this necklace would look amazing with jeans and a white tee - let the pretty colors shine!! :) Also, I LOVE the dress you're wearing in this post!! I would wear it with jeans and a colored tee. i commented in the widget of how i'd style the necklace but i also wanted to comment on how lovely i think your outfit is! i love the pretty mint shade of your cardigan that goes so perfectly with your stunning necklace. thanks for the giveaway laura! I'd wear it with a maxi dress for a chic casual look! Thanks for the giveaway! It's just my preference but I like most statement necklaces with a solid color top depending on the necklace. I'd wear a solid color top with either skinny jeans, a skirt or shirts. Thanks for the giveaway opportunity.